Not surprisingly from the Canary Islands! 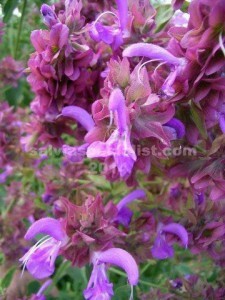 There are a few variations of purple flowering canariensis and also a white flowering form. 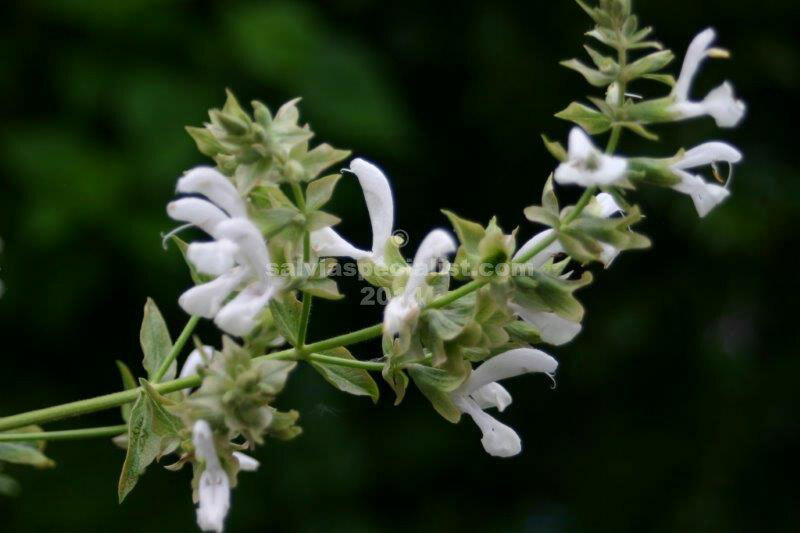 The original form, which I don’t grow, had green calyces and not such a bright purple flower. A better form has the purple calyx. This canariensis has woolly stems and under the leaves. An even better form, canariensis candidissima, has the same good purple flowers but woolly on top of the leaves as well. The foliage can look quite stunning in winter. This is the purple canariensis I only sell usually. S. canariensis blooms for an extremely long period and will tolerate very dry soils once established. From a distance you wouldn’t know whether the colour is due to flowers or calyces as the calyces hang on for a very long time. Then another flush of flowers appears with those same colourful calyces. Size will depend on water and cutting back, varying from around 2m and can be the same wide. The white flowering canariensis has green leaves and tends to be a larger plant. Best planted in sun. You can chop bits off canariensis when you want. If it is never pruned it might be inclined to get old yellow leaves which are going to fall off, especially at the base of the plant. Either cut some of the plant around the edges back to the base maybe in autumn or grow it further back in the border where its base doesn’t show. It probably renews itself winter/spring which is when the old leaves will yellow but I haven’t taken note of a particular date. 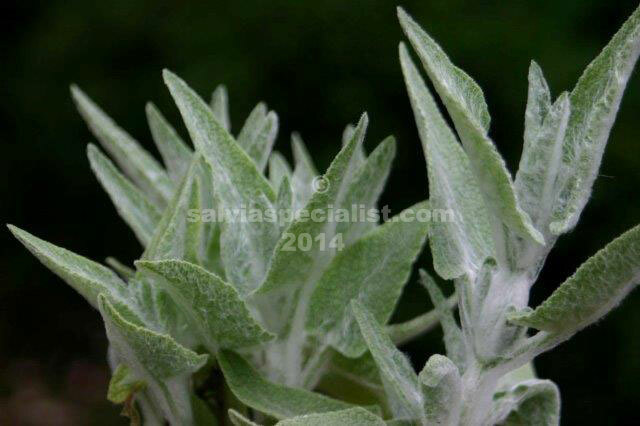 Surprisingly for a grey foliaged plant it is not that difficult to propagate by cutting. It also sets seed which are usually easy enough to raise and true to the parent.